I hardly remember the carefree days when I could do “almost anything” without a moment’s notice. Since becoming a mom, even my small everyday decisions require some form of consideration for others. Life changes when you step into parental shoes, no doubt. The time, which you once thought was yours, no longer even pretends to belong to you; and many things, once estimated to be accomplished in no time, now take longer. These words may just be what you need right now. Be a mother to yourself. We complain about having soooo much to do and soooo little time to do it, and then we continue cramming soooo many activities into our schedules. In consequence, we remain “undone” despite of our best efforts. Overwhelmed, exhausted and frustrated we get slower and less productive than we would have been had we taken the necessary time to relax. Say “no” to the demands of your home and “yes” to yourself, if need be. Consistently take small steps towards seeing your own dreams manifest. Whatever it is that you should do for you – do it! Appreciate yourself more, so you can recognize your child as a gift, which she is indeed. Be grateful. Being a mom is a privilege. Some pay huge amounts of money to conceive. See your child’s smile as a reward. Don’t wish you were somewhere else; your children were older, younger, out of the house, married, whatsoever… This kind of wishing will not change your today, but it will take the joy out of now. You are an artist with a high calling – one of the pioneers and the most influential creators given to paint on the unique canvas of your child’s heart and soul. Your efforts may go unnoticed by people, but Heaven sees the most subtle of your brushstrokes… You are precious… Remember this because you will not always have someone there to remind you. Dedicated to mothers, fathers and others… whose lives are devoted to the needs of other people. 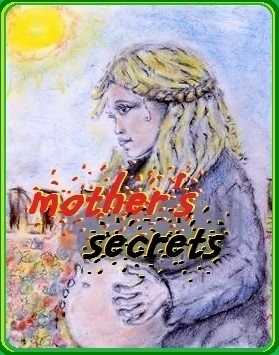 The poem “Mother’s Secrets” is right here.